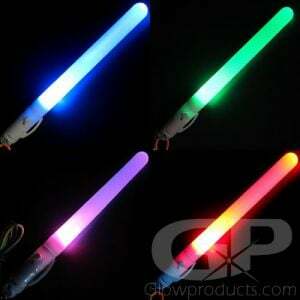 - 7 Fun Settings in 1 Awesome LED Party Wand! - 8 inches in Length! Lanyard Included! 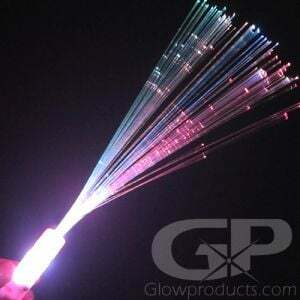 - Bright LEDs Light Up the Entire Wand! 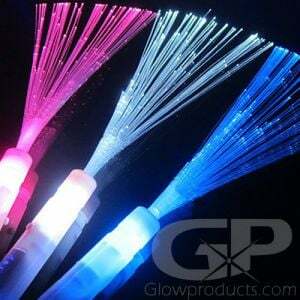 - Glow Parties, Concerts, Dances! 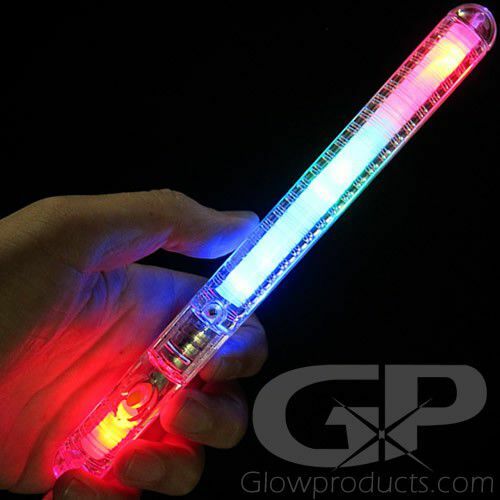 You want a battery operated glow stick that lights up all the way up and down the length of the wand? Then you've got it! 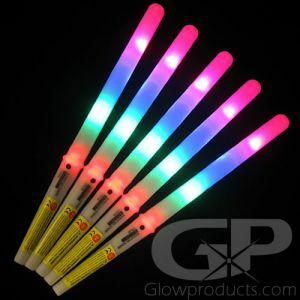 8" Light Up Party Wands are a 7 Setting LED Light Stick suitable for any type of party rocking glow event! The seven settings include a constant on (steady light) mode, fast strobe, slow strobe, color chasing, flash mode, light separation mode (where you can spin and twirl the patrol wand through the air leaving behind Blue, Green and Red trails of light) and color flashing modes! 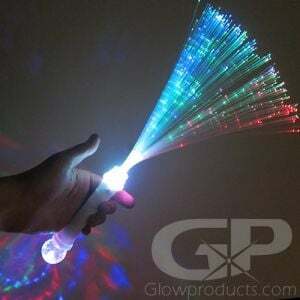 The Lighted Party Wand has an attached colorful lanyard (string), and has 4 LED lights - 2 Red, Green and Blue, that are placed through the wand so that the LED Patrol Wand lights up along its entire eight inch length! Instructions: Remove the battery protection tab and push the button to turn on. 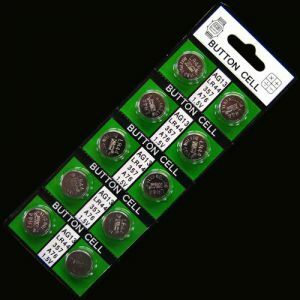 Press the button again to circulate through the 7 light modes. The wand takes 3 AG13 Batteries that are included and replaceable.